Customer Reviews of Paper Rag "Kim Towel"
Kiba is easy to stand compared to wipe all X70. Since oil stains are better absorbed here and the unit price per sheet is cheaper, I will use properly. This review is about item#9384471. I was looking for something that could be used instead of a towel. Size, water absorbency, touch and cospa are also passed. It is in a box, easy to install, and easy to take out. This review is about item#09384471. It is convenient because it can take out one by one. The size is exactly right. It can be used sparingly. For peeling work of deteriorated paint by solvent etc. 【Impression】 It is a perfect performance that is perfect for wiping liquid. It is durable and has no fuzzing, it is suitable for work to wipe repeatedly, it can be used with confidence. In addition to the notation work, it can be widely used as a substitute for a cloth rag that can be disposable, it is a product that is useful for versatile purposes. [Improvement point] When the amount of paper decreases, the Kim Towel may slip out of the box takeout opening and it is troublesome to take it over again. I am glad if you can improve. Even simple sold separately sold case is OK. [Remarks] I do not yet know products that match the performance of this product series. In my insight, it is the highest peak product. Oil leakage · Fuel tank refueling etc. This review is about item#2339601. Heavy and strong. I use it when using a chain cleaner, but it is handy because it does not break even if it gets wet. 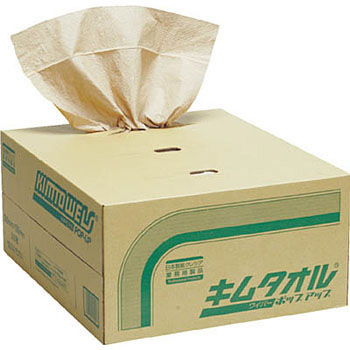 People who care about the price, use monotaro paper towels. Although it is not used yet, when the windshield is attached with oil, the windshield of the wiper is bad and it gets scurpy and it becomes serious. I came to this KimTauul because I had a terrible eyes with a little used cloth. This review is about item#33429636. I only use this. There is also a certain degree of strength, it is suitable for wiping oil. I think that it is very good that fluff does not adhere to the thing which is trying to wipe with little fuzzing. If it is another product it will be fuzzed and you will have to clean it up, so the work will increase, but if you wipe it off as a kim towel it will be completed so it is very easy. It will be quite convenient to have cloth and paper cloth. Machine assembled hot water, oil wiping etc. I have been using it since a long time ago. When cleaning the gauge during oil change or to get rid of dirt. I am satisfied with the price and ease of use as usual. It is very convenient to use it like cloth waste like thickness, softness, hardness to break, hygroscopicity etc. Although it is disposable, this price is satisfactory enough. It is a second purchase to wipe off cleaning parts, but it is easy to use without fuzz. Just because the content is small it is appreciated if you can handle larger items. Easy to take out and convenient. However, there are cases where the size can be reduced to about half, and I think that it is more convenient if two sizes can be taken out. This review is about item#02339601.